An Amazon kindle bestseller, reaching #1 in air sports & recreation in its first month! Good paramotor training isn’t enough! A few days learning to ground handle, along with a few short flights is all you’ll get during the average paramotor training course. 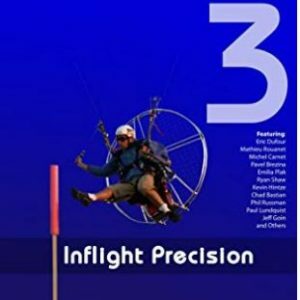 Time is of the essence, and the instructors goal is simply to get the pilot into the air for at least one solo flight. Pilots come away from training lacking even basic skills and knowledge, and most are too nervous to fly by themselves. 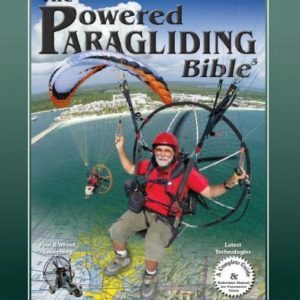 This is simply because they just don’t feel they’ve learned enough about the sport, or how to safely fly the paramotor without the help of the instructor. This is understandable in such a high risk sport. Many pilots will never fly again after training, and some are seriously injured; but all it really takes is a better understanding. If you take the time to learn everything you need to know, you’ll be a safer, more confident pilot, and you’ll find flying much more enjoyable. 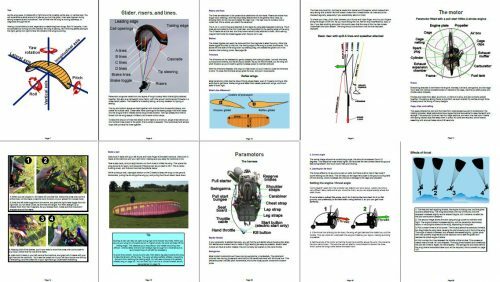 The Complete Paramotor Pilot’s Book Of Knowledge has been written with the goal of teaching you everything you need to know to fly a paramotor. 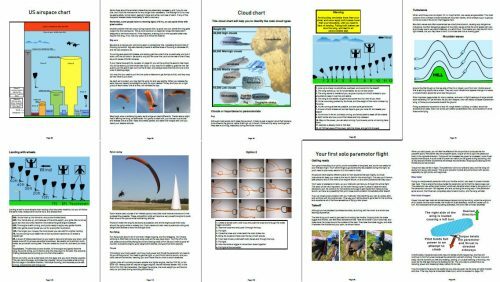 Taking you from a complete beginner, to safely and confidently flying a paramotor, with the essential skills and knowledge that a training course simply can’t provide. The number of paramotor accidents are increasing every year. 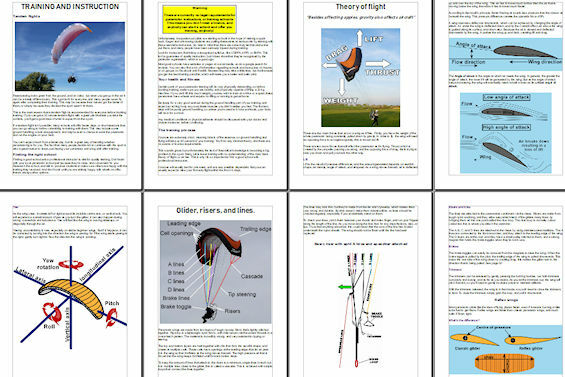 This may be expected as paramotoring becomes more popular, but the numbers are rising faster than the sport is growing! This is another consequence of poor training, and a lack of knowledge. 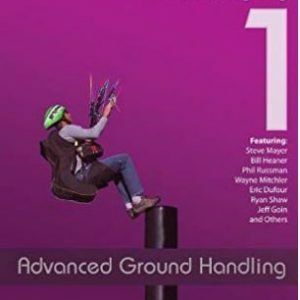 You should never skip quality training, it’s an important part of the learning process, but this book will provide you with a second phase of training that could save your life. Available for instant download when you pay securely with PayPal at the button above. Buy it now or scroll down to read more about the book, and to find out what you’ll get. You can also get the kindle edition at the button below! When you checkout with PayPal, this eBook will be available instantly as a PDF download. This will open on mobile phones, desktop computers, and most devices. If your computer or device won’t open PDF files, you can download the Adobe reader HERE so that you will be able to view the book. This link is for the most up to date version of the book, which is currently edition 2 released in April 2019. 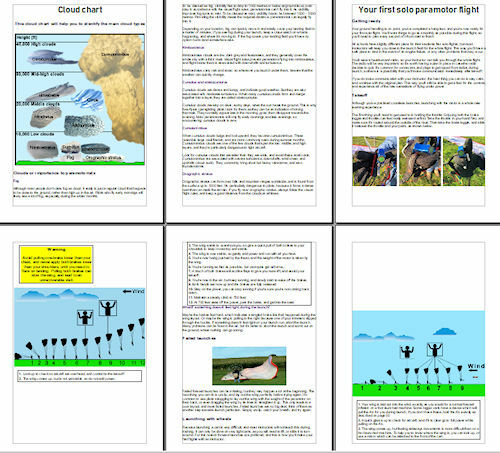 The book will be kept updated when any advances in paramotor technology happen. Please ensure you provide the correct email address, as you will also receive a download link to your inbox, so you can re-access the manual in the future. A 149 page downloadable manual that every beginner pilot needs. 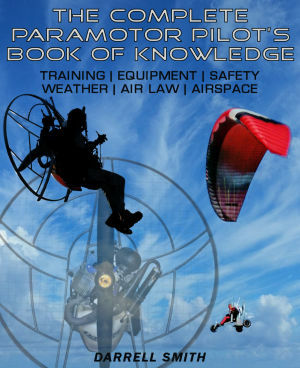 The Complete Paramotor Pilot’s book of knowledge will take you through the entire training process and beyond, and will teach you everything you need to know to become a safe and confident pilot. 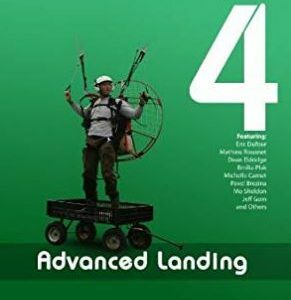 With helpful pictures, illustrations, and explanations of everything you need to know, from launching and landing, to handling emergencies. Bought to you by paramotor planet, this pilot’s manual has been 6 months in the making, and is only available on this website and Amazon. Click here for lots more information, to see what’s in the book, and to view its table of contents, or download now at the button below.